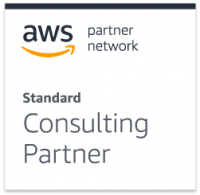 Apalia is an AWS Consulting Partner. Apalia has an engineering team of AWS certified architects able to leverage AWS rich feature set, and help customers to design, architect, build, migrate, and manage their workloads and applications on AWS. 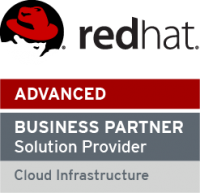 As a certified Red Hat partner, we use Red Had open technologies made for the hybrid cloud infrastructure, to help IT organization to better serve their business’ users by delivering more agile and flexible solutions while protecting business assets and preparing for the future. Apalia assists customers developing those solutions using Red Hat products such as: Red Hat Ansible for IT Automation, Red Hat Ansible Tower to scale IT automation, Red Hat OpenShift a Container Application Platform, Red Hat OpenStack Cloud Orchestrator, and Red Hat CloudForms a Hybrid Cloud and Container Management Platform powered by ManageIQ. 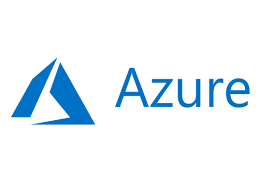 HashiCorp provides with Cloud Infrastructure Automation solutions to address the Multi-Cloud challenges with consistent workflows to provision, secure, connect, and run any infrastructure for any application. Rancher is open-source software and a multi-cluster Kubernetes management for delivering Kubernetes-as-a-Service. Apalia integrates Rancher solutions for teams adopting containers with a complete software stack. Rancher products address the operational and security challenges of managing multiple Kubernetes clusters, while providing DevOps teams with integrated tools for running containerized workloads. 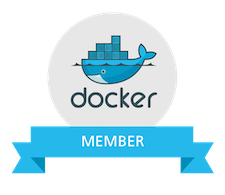 Apalia is a Docker Partner. Docker provides a completely open platform for developing distributed applications. Customers turn to Docker to build, run, and deploy portable cloud ready applications. Docker Engine is a portable lightweight runtime and packaging tool, and Docker Hub a cloud service for sharing applications and automating workflows. Docker enables apps to be quickly assembled from components and eliminates the friction between development, QA, and production environments. As a result, IT can ship faster and run the same app, unchanged, on desktops, bare-metal servers, VMs, and any Cloud. Apalia is a certified VMware-Solution-Provider, and has the expertise to help you integrate specific set of products such as vSphere and vRealize Suite. VMware solutions lean on vSphere to deliver a more fluid and secure new IT model. VMware is one of the main global leader in the field of infrastructures Cloud and of mobility, and its products are used by more than 500,000 enterprises in the world. Apalia is one of the first system integrators in the world who started deploying CloudPlatform for both Cloud Service Providers (CSP) and Enterprises. CloudPlatform quickly allows in a multi-tenant approach to provision and orchestrate every workload at scale and with simplicity. It provides agility with quota-based governance to manage cloud services and workloads such as desktop, web, traditional enterprise, 3D graphics, and so on. CloudPlatform is a turnkey cloud services platform, based on an open and flexible architecture, with choice of underlying hardware, networking and virtualization layers. OpenStack is a cloud computing project, managed by the OpenStack Foundation. OpenStack is a cloud operating system that controls large pools of compute, storage, and networking resources throughout a datacenter, all managed through a dashboard that gives administrators control while empowering their users to provision resources through a web interface. Apalia is a leading CloudStack integrator in Europe since early 2010. Apalia has designed and built some of the largest public and private Cloud IaaS in production, in particular in Europe. 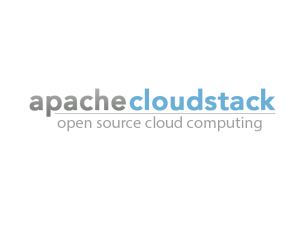 CloudStack is open source software from the Apache foundation that is designed to deploy and manage large networks of virtual machines, as a highly available, scalable cloud computing platform. Apalia uses open-source systems such as Kubernetes, OKD and OpenShift to accelerate application delivery and life cycle management on premise as well as Multi-Cloud environments. Kubernetes (k8s) is the leading container orchestration framework and production-grade Container Orchestration for automating deployment, scaling, and management of containerized applications. OKD, the Origin Community Distribution of Kubernetes that powers Red Hat OpenShift, provides a complete open source container application platform. It is built around a core of OCI container packaging and Kubernetes container cluster management, augmented by application lifecycle management functionality and DevOps tooling. OpenShift is a complete Enterprise-grade Kubernetes application platform, distributed and supported by Red Hat. Apalia integrates ManageIQ, an open-source system in Cloud and/or Container environments to enable its customers to manage virtual machines, networks, storage, and containers from a single platform. ManageIQ is part of the CMP (Cloud Management Platform) product category. It offers features such as continuous discovery of the Cloud and/or Container environments in which it is integrated, self-service, compliance with security and operational policies, and use and cost optimization. Amysta is a Cloud Management Platform (CMP) and integrates with Cloud orchestrators such as Apache CloudStack. Amysta has been created and developed by Apalia to address Cloud Service Providers’ (CSPs) storefront and Billing needs, as well as Enterprises resources usages, Cloud cost optimization and chargeback. Apalia is an active member of the Cloud Security Alliance.